Loom Knitting videos are what GoodKnit Kisses started with as a passion to help other loom knitters. We found that the instructions in the loom knits were often hard to understand. We hope to help make things easier to learn through our style of loom knitting videos. Thank you for watching and thank you to our loyal subscribers and viewers. Your encouragement and photos sent keep up inspired! Here you will find the titles to loom knitting videos found in our GoodKnit Kisses YouTube library. Certainly you can go to our Video page or on our YouTube channel page for loom knitting videos. However, we have tried to sort the titles by category for you. Please feel free to create your own playlist of Loom Knitting Videos yourself from these or bookmark one of ours. They do come in handy for quick reference. As always if you have a need please let us know. If there is a technique or stitch video your would like to see please use our contact form. We would be happy to look into making new loom knitting videos as they arise. We will not film someone else’s pattern. However, but if they would like a new stitch or technique clarified or their own made into a video to help others, we would be happy to assist. Thank you! Loom Knit Cast On Overview with swatches. Loom Knit Cast On: E-wrap. Loom Knit Cast On: Long Tail & Long Tail Ribbed CO.
Loom Knit Cast On: Half Hitch Cast On or Backwards loop. Loom Knit Cast On: Yarn Over or Double Ewrap. Loom Knit Cast On: True Cable Cast On (easy no crochet hook) matches needle version. Loom Knit Cast On: Chain Cast On. Loom Knit Cast On: Crochet Cast On. Loom Knit Cast On: Scalloped Cast On. Loom Knit Cast On: Cable Cast On (braided on right side). Loom Knit Diamond Lace or Figure 8 Cast on Single Knitting. Loom Knit Cast On: Adjustable . Loom Knit Cast On: Classic Knit Cast On. Loom Knit Cast On: Purl Cast On. Loom Knit Cast On: Picot Cast On. Loom Knit: Quick Half Hitch Cast on. S Loom Chain Cast on: S loom with crochet hook. Loom Knit: Finish Cast on edge of scarf or panel. Loom Knit: Roll Free Edge Rib Stitch for hat brim or blanket. Loom Knit: Crochet Cast on Long Loom. Loom Knit: Easy Chain Cast On with crochet hook was crochet cast on by error. These videos help you get your project off the loom. This technique is called Binding Off, Bind-off or BO. Sometimes Binding off is referred to as casting off. Loom Knit Picot Bind Off flat panel. Loom Knit: Stretchy Bind Off no crochet or needle. Stretchy Bind Off or Cast off loom knitting NO SEW. Loom Knit: Picot Edge Bind off or Cast off Martha Stewart Loom. Loom Knit: Double Knit Basic Bind Off or Finish Scarf no crochet. Loom Knitting Videos: How to Basic Bind Off. Loom Knitting Videos: How to Decrease Bind Off. Loom Knit cast off Triple Rib Stitch bind off. This is a more rigid older bind-off Kristen used to used. She prefers the Stretchy Bind off for this stitch currently. Stitches in loom knitting can vary in names; we have tried to write alternate names in the titles, as well as in the video, to address the multiple names for a stitch. If you don’t see a stitch listed in “Stitches” please look for it in “Stitch Patterns” or contact us if you still cannot find it. Loom Knitting Videos Single Rib Stitch. Loom Knitting Videos Twisted Knit Stitch. Loom Knitting Videos: Stitches side by side, Rib Stitches & Twisted Knit Stitch. Stitches in loom knitting can vary in names; we have tried to write alternate names in the titles, as well as in the video, to address the multiple names for a stitch. If you don’t see a stitch listed in “Stitches Patterns” please look for it in “Stitches” or contact us if you still cannot find it. We are also looking to expand this category. Please contact us if you would like to knit up swatches. These videos vary from calculations of formulas to set up your loom, to tips for general use or just discussion blogs. Double Knit setup: KnittingBoard Super Afghan S loom. Fast Way to Finish yarn tails Weaving ends with Latch hook. Loom Knit Basics: Weave in extra yarn tail. Finish and Weave in drawstring of hat. Loom Knit Finish off Beginning Loose End of Panel. Loom Knit: Kitchener Stitch or invisible stitch (socks, panel, headband). Loom Knit Discussion: To Slip Stitch or Not Slip Stitch on a Double Knit. Yarn – Make 3 strands from 1 ball Navajo technique (CC). How to Connect Granny Rounds by Single Crochet. Make a Swatch – Check Knitting Gauge or measure gauge (CC). Loom Vlog on Triple Knit Stitch and Baby Blankets on All-n-One. Stitch or Sew: Loom Knit Panels Together Invisible Seam for Blanket or scarf. Formulas Ear flaps, Visor Brims & Decreased crowns on knitting loom. Earflap Talk on Knitting Loom: 24 peg blue circle loom Knifty Knitter. Loom Knit: Half Stitch technique or Cleaner garter edge on purl rows. Increase by 1 and Half Stitch or Cleaner garter edge purl. Loom Knit: Increase by 2. GoodKnitKisses Vlog talk on decrease crowns. Infant Hat Loom Decrease Crown 24 Peg Round Loom. Youth Hat Loom Decrease Crown 30 or 31 Peg Round Loom or Child beanie. Adult Hat Loom Decrease Crown 36 Peg Round Loom with CC. PART 1 Decrease Crown 48 Peg Round Purple Knifty Knitter loom sm gauge Adult. PART 2 Transfer 48 peg Decrease Crown to 24 peg Round Knifty Knitter Loom. Loom Knit: How to Change Colors. Loom Knit: i Cord on a Spool Loom. Loom Knit vs Needle Knit Talk (knit, u, flat, ewrap) REFERENCE. 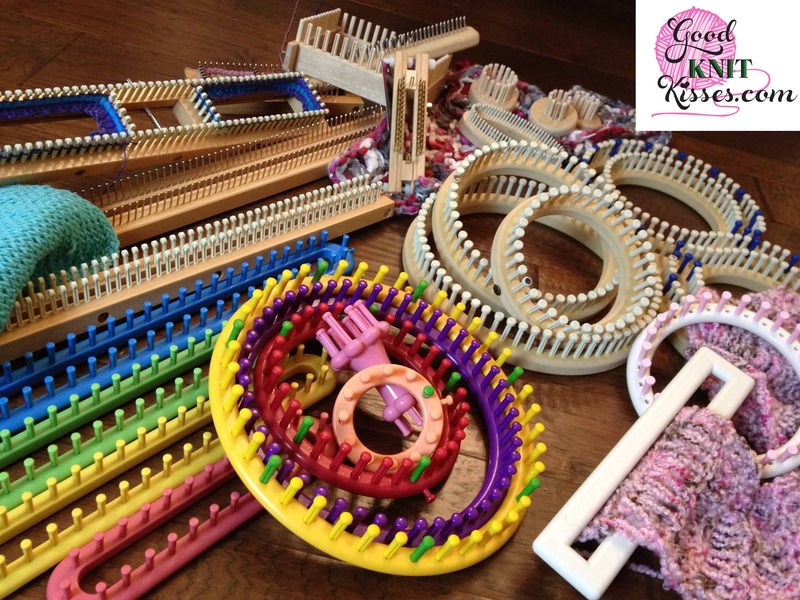 Loom Knit: Looms, Tools & Basic info Part 1 of 2 with CC. Loom Knit: Looms, Yarn & Basic info Part 2 of 2 with CC. The following loom knitting videos are patterns set to video. Play, pause and rewind as needed. We are much more patient doing things over and over on video at 3 am than regular teachers! LOL! Clapotis Loom Along Section 5 of 5. These videos are products that we have reviewed. 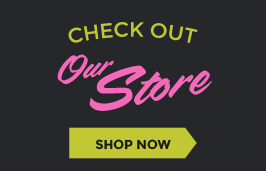 We try to note many details about the product and test it out in the most used ways so you have have a better understanding if buying online. We know it’s hard to decide if something is really worth the buy or not when you are limited to no craft stores in your area. Thank you for watching and trusting us. If we think the product is bad, or the customer service won’t stand behind it, we will not even post the review. This does not mean these are commercials or mean to say buy everything we review; but it does mean we will tell you all we can so you can decide if its the right product for YOU. And remember, we are NOT paid by companies for these reviews. Many are either sent are way or GoodKnit Kisses has purchased it outright. Thanks!